It’s been six years since the Office of Management and Budget launched the Federal Data Center Consolidation Initiative, or FDCCI, designed to reduce the number of unnecessary and costly data centers, and reinvest savings from that consolidation effort into agency modernization. To date, the results have been uneven and mixed—at best. FDCCI got a boost in 2014 when Congress enacted the Federal Information Technology Acquisition Reform Act (FITARA), which requires agencies to calculate cost savings as part of their multiyear plans for closing and optimizing data centers. The law also requires OMB to set goals for data center consolidation. And that’s where things start to come loose. At last count, the government identified at least 10,584 data centers. As of 2015, agencies reported closing only 3,125 of those—that’s 1,023 short of OMB’s stated goal to close 40 percent of all noncore data centers. Agencies reported $2.8 billion in savings and cost avoidances during the last four years. But four agencies—the Departments of Commerce, Defense, Homeland Security, and Treasury—account for a whopping $2.4 billion of the total. There’s clearly a lot more to accomplish, and agencies have publicized plans and projections to close many more data centers and achieve much higher savings. But the proof will be in the doing, and the Government Accountability Office, the investigative arm of Congress, is keeping a close watch on those promises. 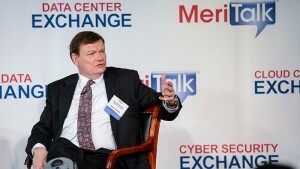 To dig deeper into the many factors that have contributed to the current state of affairs in the Federal Data Center Consolidation Initiative, MeriTalk spoke with some of the leading agency authorities about the many data center challenges facing chief information officers, and the plans and policies that hold the most promise of helping the government achieve its data center consolidation goals. In DCOI Redefines Federal Data Center Policy, MeriTalk reporter Jessie Bur explores OMB’s effort to replace the FDCCI with the Data Center Optimization Initiative (DCOI). The public comment period for the DCOI memorandum closed April 1. We also take a look at the good and not-so-good parts of DCOI in Bur’s piece on The Pros and Cons of DCOI. What we found is that while DCOI does a lot to improve agency collaboration and efficiency, some feel that OMB’s revised definition of what constitutes a data center may be a little too restrictive. Few agency CIOs have had a tougher time in recent weeks when it comes to data center consolidation than Defense Department CIO Terry Halvorsen. A report from DOD’s inspector general last month placed the blame for the Pentagon’s failure to meet its data center goals squarely at the feet of Halvorsen. Of the 3,115 data centers reported in DOD’s Data Center Inventory Management system, only 568 (18 percent) had been closed by the end of fiscal 2015. The IG accused Halvorsen of not enforcing his own policies and for failing to monitor the progress of the services and component agencies in the department. Well, Halvorsen has a new plan. In Inside The Pentagon’s Data Center Strategy, Halvorsen outlines the many moving parts of his new approach.